We believe that people value your ideas by understanding your data. 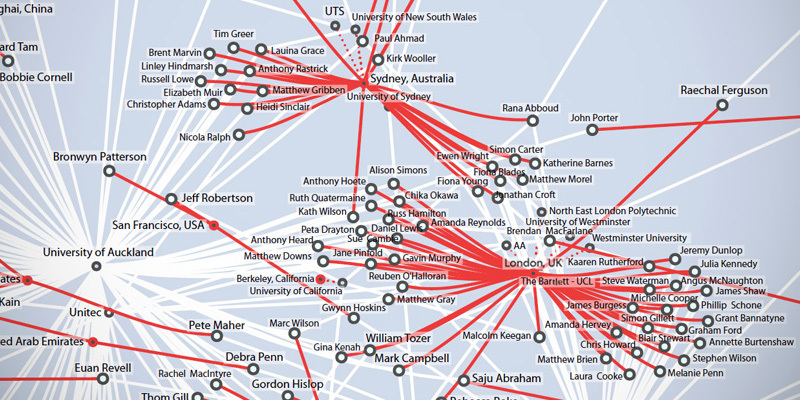 That's why we work with you, and your organisation, to create beautiful data visualisations that promote your ideas. 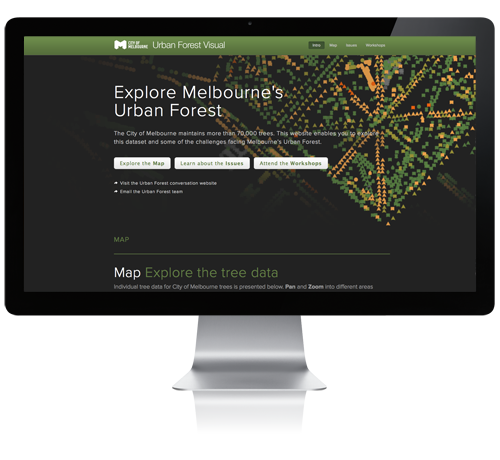 Recently we've worked with the City of Melbourne to turn a database of 70,000 city trees into a platform to communicate the issues facing the urban forest now and into the future. Data changes how we make sense of the world. To present ideas through data you need to combine the worlds of business, technology and design. And that's what we do for you. Data visualisation is a way of thinking as well as a final outcome. You can engage us at the early stages of your project: especially when there are complex layers of human and computer interaction. We shine when working across marketing, IT, and business teams to connect different domains of knowledge during project development. Designing systems and processes for data. Since 2008 we've built our reputation on blending high-end creative outcomes with technical expertise - working on big ideas that are realised with ingenuity and care. We connect aesthetics, computing and user experience, and build teams and processes around projects that scale and deliver what you require. Scoping lays the foundation for a successful data-driven project. It is quick to undertake, and low risk, so contact us to take this first step. 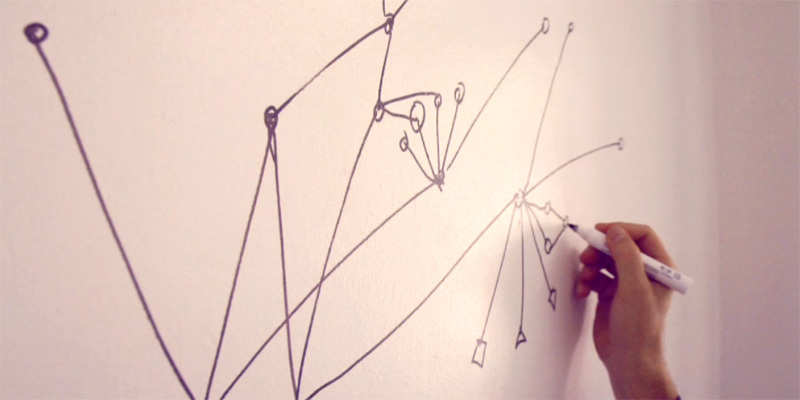 Here Greg talks about his design inspirations and why he visualises data. Greg More founder of OOM Creative is an expert in digital design. His design work has been exhibited at the Museum of Modern Art New York (MoMA), the National Gallery of Victoria (NGV), selected for OneDotZero and Resfest International Film Festivals, as well as featured in a range of international biennales and publications. He is also a senior lecturer in the SIAL research lab, School of Architecture & Design, RMIT University.